Is multi-level marketing right for you? I recently did a post on whether or not one can afford to be a stay-at-home parent and I mentioned that one way would be for the parent staying at home to get a part time job or a MLM (multi-level marketing) sales job on the side. Multi-level marking (or “network marketing” as its sometimes called) is a selling strategy used by some companies where their sales people are compensated by selling the company’s products via a commission as well as the sales of other salespeople that they recruit. While there has been some criticism of MLMs being “pyramid schemes”, many of these companies are truly legitimate and require you to sell at a consistent level (and providing coaching to your “downlines)” in order to be rewarded for their sales – so you can’t reach a certain level and then just coast. It has become a multi-billion dollar a year industry and there are new ones popping up all the time and joining the ranks of Avon, Mary Kay and Tupperware. Lots of women are doing this. I know a Nurse Practitioner who is very high up at a children’s hospital who sells Arbonne. A friend of mine who sells Stella & Dot is also a Manager at a large consulting firm. I myself did it for two years as a sales rep for Stella & Dot (though officially sales reps are called “stylists”) and it was a great way to have some fun and make a bit of extra money – which was my goal. But being a business school graduate and CPA, I also knew what to do to make sure I didn’t lose money on it. However, before you call your Avon lady or Stella friend and ask how to sign up, there are some things you need to keep in mind in order to make sure this is right for you. After hearing a recruiting speech, you may have visions of white Mercedes, Pink Cadillacs or amazing vacations dancing in your head, but the truth is that success in a MLM job is directly related to the amount of effort (read: WORK) that you put into it. In reality, while you may be told that you “only” need to sell at two shows per month to make hundreds of dollars in commissions, or “only” need to recruit 1 person per month to qualify for all those extra incentives, the truth is that the people who make a lot of money in these companies are ones who treat it like a real job and put in the same number of hours that a “real” job would. Sometimes, this is a LOT of hours; they are constantly sourcing hosts for their parties, chatting up recruits and attending these sales shows. My friend got me into Stella & Dot when she asked me to host a party. I checked out the website and really liked the jewellery, so I said sure. Then I had such a great time at the party (and loved getting some great freebies out of it), I thought it would be fun to do. I liked that it got me out of the house occasionally and I liked that I was getting some real sales experience. I also did “earn” quite a bit of free jewellery and enough money to treat myself to a nice pair of shoes or dinner out every month (on average). That was my goal though. I didn’t want to spend too much time, effort or money on it (especially the last part). If your goal is to pay for your kids’ private school tuition or to pay off your mortgage in the next year or even replace your salary all the while being a full-time stay-at-home-mom, then you will be sorely disappointed. This is not the silver-bullet solution to making a ton of money while staying at home. Its a great option to earn a little extra on the side OR a potentially lucrative-ish full-time job if you are great at sales and want flexibility. 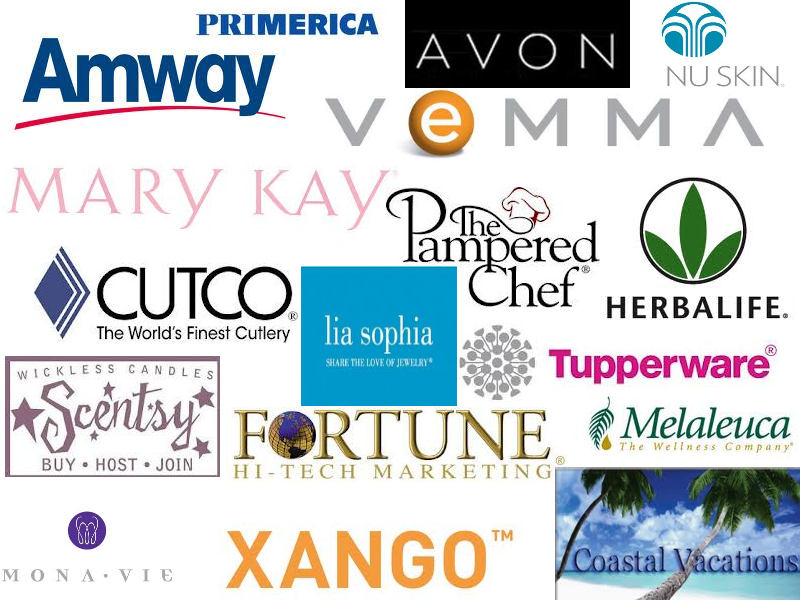 If you sign up to sell products for one of these companies and your goal is to make money (as opposed to feeding an accessory/skin-care habit with a discount which is a reason many people do it), you need to realize that this is a business and you need to treat it as such. As a sales rep you will earn a commission on everything you sell plus a “bonus” based on whatever your “downline”/recruits sell. But this IS NOT profit or what you are really earning. You also need to spend money on membership fees, samples, shipping and taxes as well, which needs to be deducted from the commissions you earn. So say you make on average $500/month in commissions (with Stella & Dot for example, this would require about $2,000 in personal sales). But you spent $1,500 on samples plus another $200 on fees (membership fee, website fee, shipping) when you started out. That means that you are not making a penny in profit until the 4th month of “work”. And in the meantime, the company may have released new products which you will be encouraged to buy. Therefore it is very important that you set yourself a strict budget on how much you are willing to spend, both initially and every time new products are released. Make sure you keep your receipts for gas used to drive to and from parties, for coffee/lunch dates with your team or potential recruits and of course, for all samples or supplies you purchase to run your business. It also means you need to spend time on calling potential hostesses, working on your sales pitch and get to really know the product you are selling. Its very, very easy to spend a TON of money on the samples that you “need” to get your business going and later to make sure what you have is fresh and up to date but it can quickly get out of hand and I know MANY, MANY people who are clearly losing money. I signed up for a Facebook group for Stella & Dot when I was selling with them and there would often be disgruntled stylists complaining about how its “unfair” to pay more for shipping than customers or annoyed that the product credits they earned didn’t get them enough new samples or whatever. I would often remind them that while we like to think we are employees of the company, we are in fact, a different level of customer as well. I, personally, was ok with this and understood that this is just the way it works. I know that when I bought samples at 50% off, they are still making profit margin on that. Otherwise, it would be a bad business model. Another reason I wanted to mention this is because I want to caution anyone doing this type of selling to remember that these products are not super amazing, unique, special or that better than other products sold in stores. They are consumer goods and they have great marketing campaigns, but you aren’t doing anyone a major favor by introducing them to these products. They may claim they are better for you than other products, or they are better quality or better value or whatever, but you need to take this with a grain of salt. Also, some are borderline unethical, especially anything to do with weight-loss, like this product (please don’t go into an MLM that requires you to prey on women who are already dealing with low self-esteem/body image issues just to make a few dollars). Of course you need to like the products (heck, even LOVE the products) and like using them, because you shouldn’t be selling something you don’t like or believe in, but PLEASE don’t become brainwashed into thinking they are the be-all and end-all of all products. For example, while I really like most of Stella & Dot’s jewellery and think that the quality is good, I don’t think it’s superior to a lot of similar stuff. Yes, I’ve had pieces wear incredibly well and some break after minimal use, I’ve had good and not so good interactions with their customer service (but on the whole, it was excellent) and there have been collections I loved and some I didn’t really like. Just like many other brands I like. Similarly with the make-up and skin care companies like Arbonne. I like some of the products I’ve bought from them but some I wouldn’t buy again. I also don’t like how they focus their sales pitch entirely about what is NOT in their products vs what IS in them (but don’t get me wrong, it’s a good product and I know a lot of people who love it). Direct selling is hard. Its scary, even. You also need to develop a thick skin and resilience to the word “NO” – because you will hear it a LOT. On average, you will need to contact 10 people for every 1 that will agree to host a show. And a good chunk will chancel, sometimes on the day of. Then, you will need to remind your hostess that for every 4 people she invites, only 1 will come. Its tough because if YOU really love the product, at first you will find it unimaginable that others don’t. You will find it uncomfortable to approach people to help you by hosting shows and after you tap out on the “low-hanging fruit” – ie. your family and friends, getting new business is not that easy. You will have events where you sell nothing or very little. You will have months where you will sell nothing. Even though it might be tempting to sign up right away (the consultant trying to recruit you may need to hit certain targets by end of month for example and may entice you with free products), make sure you are ready and really understand how the commission/pay structure works and if it works for YOU. One thing I really liked about Stella & Dot is that I got a straight commission on whatever I sold. If I sold $20 in jewellery, I got $5 in commission. If I sold $2,000 I got $500 and once I sold more than $2,300 the commission amount went up. I didn’t have to hit any targets or sales goals to keep earning commission and that worked really well with me because some months I just didn’t have the time to be able to do many (or any) shows. However, I know that some companies DO require a certain sales volume, so if you aren’t sure you can maintain it, don’t do it. On the flip side, take the “horror stories” you read online with a grain of salt as well. I think some women join with unrealistic expectations or without considering how much money can really afford to invest in a business like this and are disappointed or feel “tricked” into joining. They like to point fingers and call it a scam, but in reality, like many investments, you need to do your research and need to be realistic about your potential outcomes. 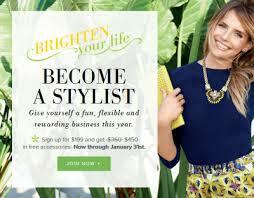 Now, I DID continue with my Stella & Dot venture while on maternity leave but sometimes I wish I hadn’t. First of all, you do need to declare all your income to Service Canada every two weeks (it can be a bit of a pain to determine what you are actually earning since the commissions you earn need to be netted against your expenses, but those don’t necessarily coincide with your commissions earnings), then they will deduct what you earn from your maternity leave benefit, which kind of defeats the purpose of the mat leave benefits. If you are earning good money though, it may not matter to you to lose your benefits, but I think for the majority of people doing MLM, its not worth it. One thing I do want to note is that the reason I continued was because I liked the social aspect of it – the parties gave me an excuse to dress up, put on make-up and have some fun. At the moment, I’m still registered as a stylist, but as soon as my membership expires this August, I will be retiring from Stella & Dot. I had fun, but to be honest, I got a bit bored of it. It was a lot of fun while it lasted though and I would recommend it to many people. Savvy Real Estate Series – Part 1: Should you sell your house yourself?